Put simply, double glazing involves two panes of glass separated by a vacuum or inert gas (What’s that, you ask? Check our handy glossary for complicated jargon). This design is primarily used to keep the cold out, and the warm in. Whether you’re renovating your existing home, or decking out an extension, we’re here to help you through the realities of choosing glazing for your property. What’s all the fuss with glazing? 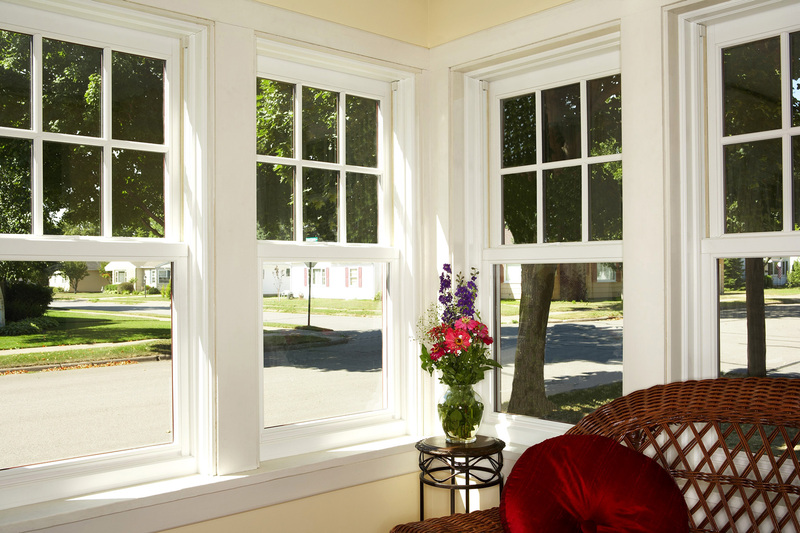 For many homeowners, finding quality windows tends to be top of the priority list. This is because the type of glazing greatly impacts many aspects of day to day life. Most importantly, glass is an insulator, and which type you go for decides what your heating bill is going to add up to for however long you decide to live at that property. A huge decision already! Not to mention that glazing also impacts your carbon footprint, noise pollution levels, and the resale value of your home. There are many different options when it comes to choosing what type of glazing you would like to fit in your home - the purpose and location of the window are relevant to this decision. Toughened glass is stronger than most, and so is ideal for areas where the glazing may be heated, such as in the bathroom or kitchen. Tinted glass is great for UV protection, while patterned glass is ideal for privacy and aesthetics - your choice entirely depends on your own priorities. Why does double glazing cost so much? For many people, the cost of double glazing can come as a surprise. For example, if you’re having 10 or more windows installed on a two-storey house, the overall price could be upwards of £5,000. This is mostly because every window size is unique, with individual measurements. For those renovating, double glazing proves costly as the entire window must be replaced, which requires a lot of new materials and construction time. However, if you’re completing an extension on your property, this is not as much of an issue. The most important cost-cutting strategy with double glazing is to weigh up the advantages of paying for better quality or more attractive materials against their effectiveness. While aluminium and wood frames may have the most appealing look, you can reduce the cost of materials by going for the standard uPVC frames. The choice of inert gas can be considered in a similar way - while argon is the least effective, it is the least expensive, making it a popular choice with homeowners. Plan your glazing venture far in advance in order to consider all of your options - avoid going straight in, guns blazing. Look into getting quotes from at least three different building companies to ensure that you’re being offered a fair fee. Additionally, don’t necessarily go straight with the cheapest quote, as it’s important to make sure that your window installer is reputable - this can be checked through the Which? Trusted Traders website. Secondary glazing: This is a great alternative to double glazing. It’s a less costly option for the homeowner as you don’t need to refit the whole window, just add another pane to the existing window. This cuts the cost to about 1/5th of the price. However, this option is about half as effective at insulating as double glazing, so it would be another case of weighing up quality against cost and budget. Thermal curtains: While they have their practical difficulties, thermal curtains are certainly an option for those who believe double glazing is out of their price range. Thermal curtains have a special lining that stops heat escaping through the windows. This option has become more popular in recent years, regardless of their obvious drawback - only being functional in the evening (unless you’re happy living in the dark!). Argon - A type of inert gas, commonly used in double glazing. Inert gas - A gas that does not react with many substances. U-value - The u-value is a calculated measurement of how efficient an insulator the glass is. uPVC - A hard, inflexible, and durable plastic that’s good value for money.